Hardened and tempered steel blades. Offset handle for maximum hand clearance. One piece molded polypropylene handle for comfortable grip and easy clean-up. 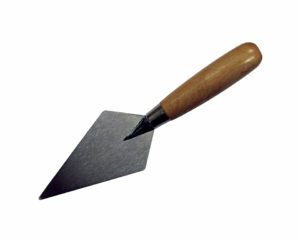 Trowel blade measures 5 1/2” long.